There’s a burst of fresh air in the bingo rooms this month. 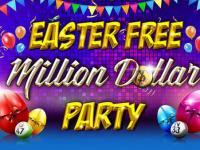 You’ll notice the generous rewards around the Mother’s Day celebrations, a bigger than ever $75,000 Slots Fest at the Casino, a virtual Bingo Fashion Fiesta in the chat room, and a new twist to Hi and Low Bingo. 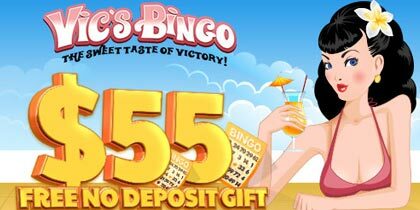 $5,000 Bingo Marathon: This plays Monday to Thursdays, and a minimum deposit during these days makes you eligible to participate. Prizes to top ten players add up to $1,250 each week, and the first round kicks off on May 6th. $3,750 Team Bingo: You’re not fighting this battle alone. Your buddies can pull you up to win the top prizes worth $750 every weekend. 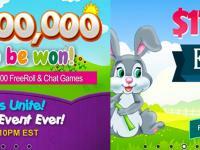 May Sweepstakes: Play at least 25 bingo games for an entry to win 50 BBs, 25 BBs and 10 BBs. Bingo Fashion Fiesta: Walk the bingo-board ramp and convince the chat host you’re the Fashion Queen! 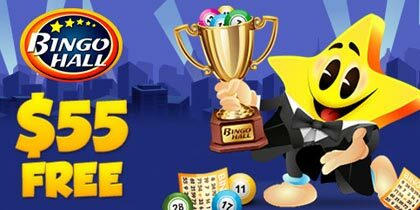 Bingo Ball of the Month: Pick your favorite number between 1 and 75 on the first day. 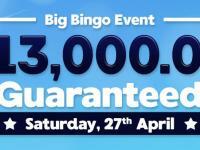 Bingo on it for extra BBs all through May. $250 Guaranteed Surprise Games: Keep your wits about you and grab these loaded pots whenever you spot them. 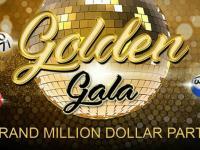 $60,000 Coverall Madness: $100, $1,000, $2,500, $5,000 check out the amazing amounts you can win on the Coveralls in the Highroller, Green and Red rooms. Mom’s Heart Beats: More to this than just the $75 Heart pattern. A $1,000 Jackpot is yours on 24 calls or less. Mother’s Day Specials: The faster you call these letter patterns, the more you earn. And when you get them all, get yourself enrolled for the month-end drawing for 3 Gift Cards worth $100 each. Mum’s the World: If she means the world to you, show it in pictures. And tell us what makes her so wonderful. Every pic gets 10 BBs, and the best one gets featured on the site for 3 days, plus 100 BBs. Love a Tree Bingo: A tree in every room, and $1,500 to win. Also get your hands on a month-end reward of$100 each to the top three participants. Bingo Blossom : $50 pots on the Flower and Butterfly, layered with extra BBs and Points and bonuses. Taurus May: Calling all Taureans to play and win more on the Taurus pattern. Instant Cash-Back on Mini Slots: 10% of your losing bets come back to you, exclusively on Thursdays. 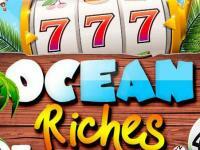 $75,000 Slots Fest: Play 4 days every week to win top prizes of $1,000 and $750, and 10 consolation prizes of $200 each. All participants also enter a draw for $1,000, $500 and $250 end of the month. Top Slots Gang: Split the $3,000 loot in one more episode this month.